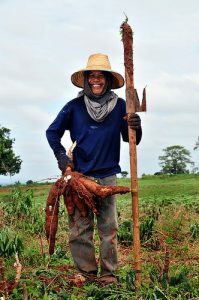 Cassava: Subsistence Crop or Trendy Commodity? Some crops have it easy. They’re planted, they grow, they’re harvested and, finally, they’re eaten. No such luck with cassava. Cassava, as food, at the very least must be cooked in order to remove certain toxins. More interesting, however, is that cassava serves as a basis for the manufacture of many by-products ranging from chips as feed to processed food, starch and alcohol. When many people hear the word cassava, they immediately think of a subsistence crop. Is this really the case? It depends on who you ask. Read more on CIAT's blog. The potential impact of climate change on agriculture and the complexity of possible adaptation responses require the application of new research methods and tools to develop adequate strategies. 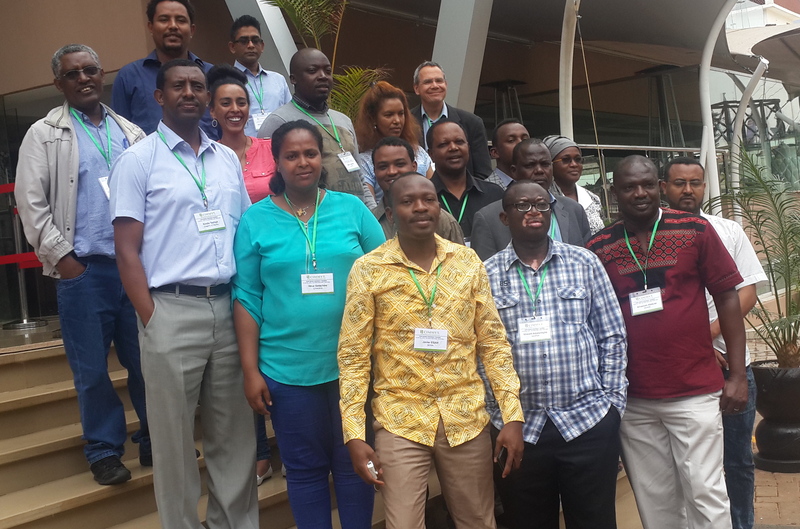 At a recent five-day training workshop titled “Crop and Bio-economic Modeling under Uncertain Climate,” scientists applied crop and bio-economic models to estimate biophysical and economic impacts of climate variability and change. Workshop participants. Photo credit: CIMMYT. Crop system modeling is used to simulate yields for specific weather patterns, nutrient input levels and bio-economic household modeling involves using quantitative economic methodology to incorporate biological, chemical and/or physical processes to analyze the impact of technology development, policy interventions and such exogenous shocks as extreme weather events on the decision-making processes of smallholder farmers and related development indicators. Events influence results in two ways: the probability of occurrence will shape decision-making and actual occurrence will shape realized results. Read more on the CIMMYT blog.